Banker Lopez Gassler receives Tier 1 national "Best Law Firm" ranking in eight practice areas by U.S. News - Best Lawyers in 2014 in Fort Myers, Tampa and Orlando. BLG also received Tier 2 and Tier 3 rankings in three practice areas Orlando, Tallahassee and Tampa. 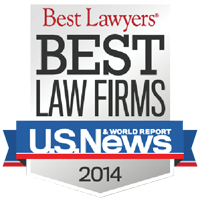 Firms included in the 2014 “Best Law Firms” list are recognized for professional excellence with persistently impressive ratings from clients and peers. Achieving a tiered ranking signals a unique combination of quality law practice and breadth of legal expertise. "U.S. News has more than two decades of experience in providing the public with the most accurate and in-depth rankings of a wide range of institutions, including our Best Law Schools rankings," says Tim Smart, Executive Editor of U.S. News & World Report. 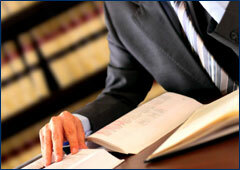 "Law firms are an integral part of our rankings and a natural accompaniment to the law school rankings."